Download a fillable PDF. Paper copies are also available in the Veterans Center. 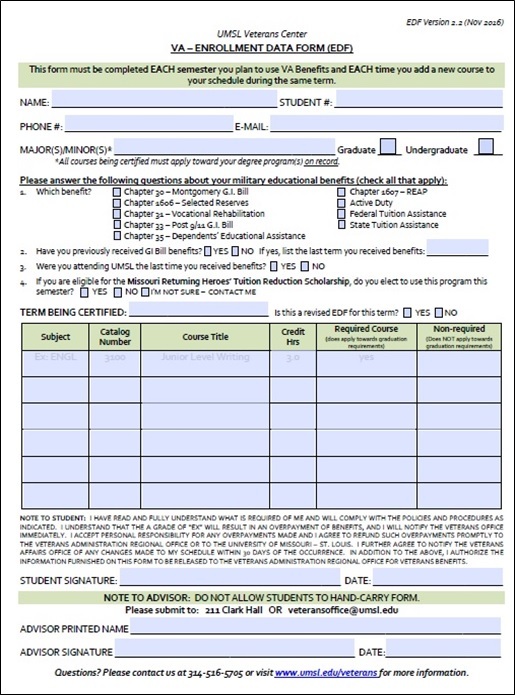 View frequently asked questions regarding the enrollement form data. Download a fillable PDF. Paper copies are also in the Veterans Center.